It’s National Blueberry Pancake day! I love me some blueberry pancakes. In fact, whenever I eat pancakes, you can bet they’re blueberry. I rarely eat any other flavor of pancake; even the regular ones. 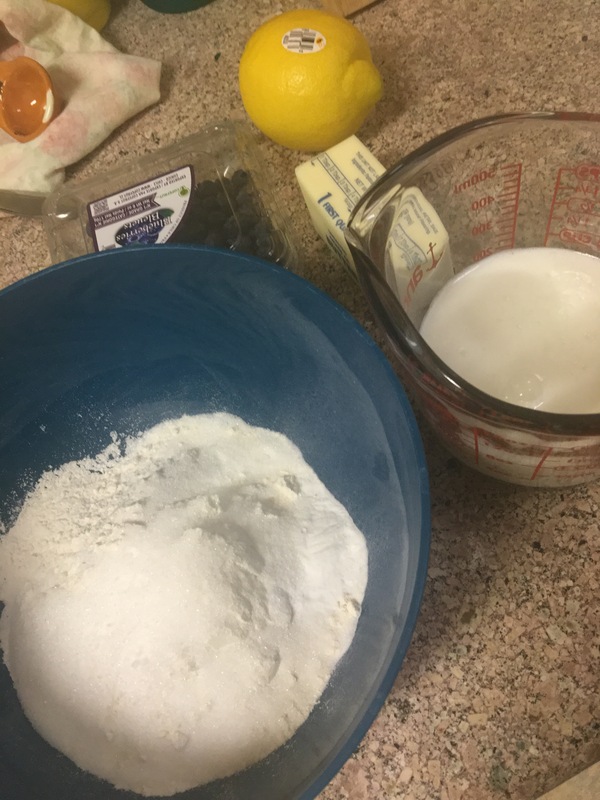 In honor of today, I’m going to share with you my favorite blueberry pancake recipe. This one has a little surprise ingredient that really brightens up the pancake! Plus, pancakes are good anytime of day. You can also make them ahead of time and save for another day. This recipe serves 6 at a serving size of 1 pancake per person. In a mug (or measuring glass), add your white vinegar to the milk and let sit. 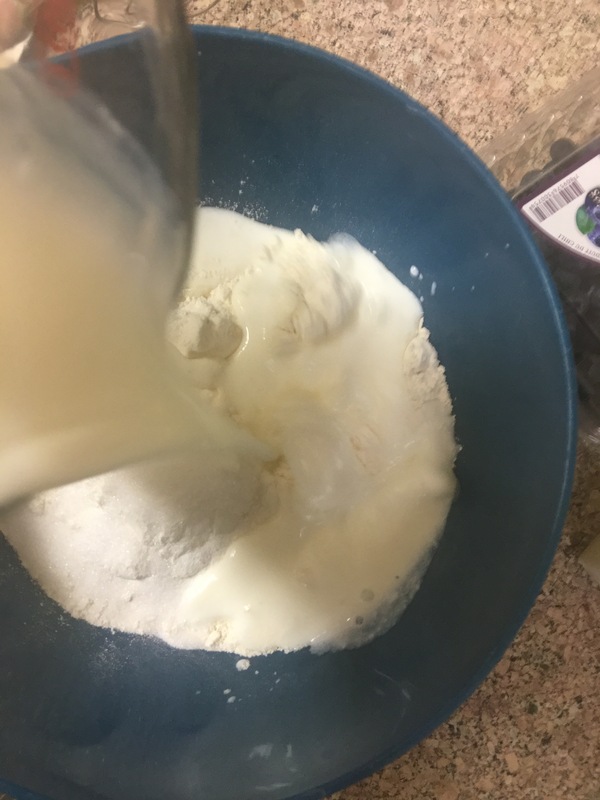 This will give you instant buttermilk! In a medium bowl, whisk together your flour, sugar, baking powder, baking soda, and salt. Add in your melted butter and egg and mix until well blended. 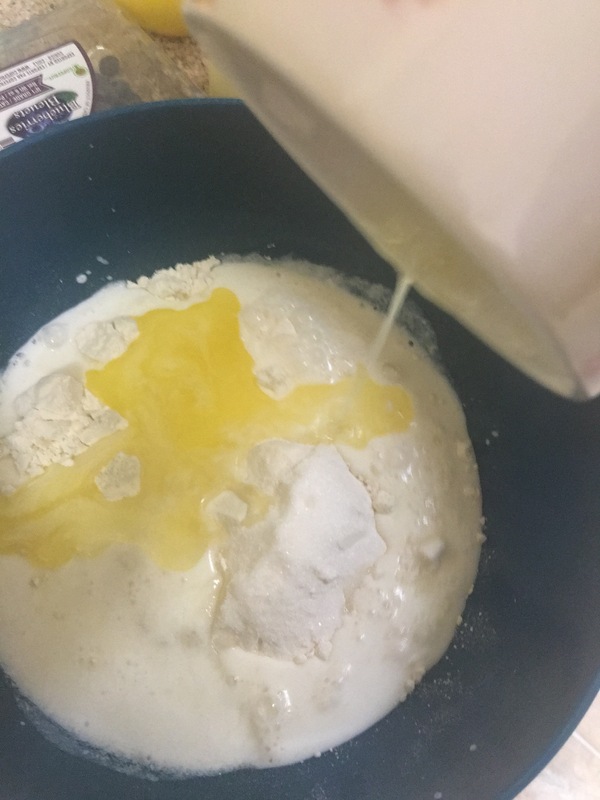 Pour in your buttermilk (be sure to check that milk has curdled) and mix well. Lastly, add in your lemon zest and stir until well incorporated into the batter. Heat your griddle or pan to medium-high and spray with cooking spray or butter. Using 1/4 c measuring cup to spoon out batter and pour onto griddle/pan. Drop blueberries by handful onto pancake. When edges begin to crisp and air bubbles form (about 1-2 minutes), carefully flip pancake. Cook another 1-2 minutes and remove from griddle or pan. 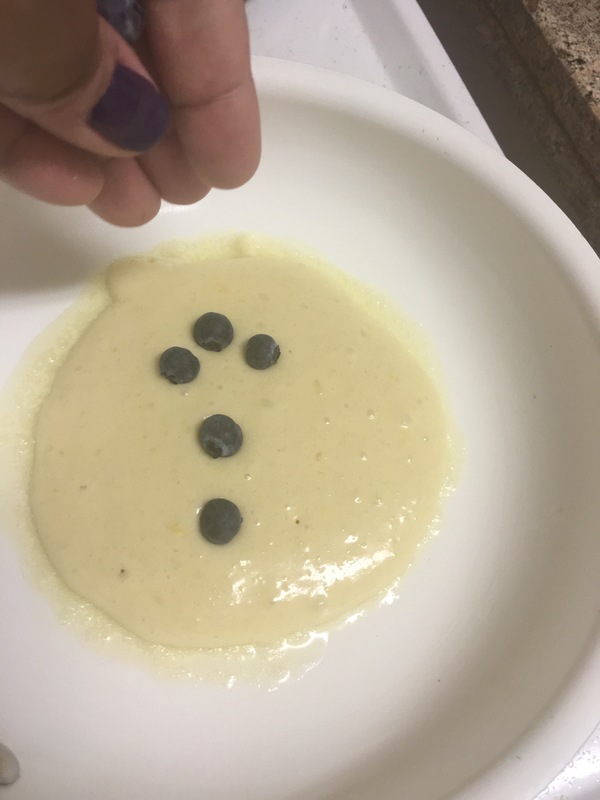 Continue cooking pancakes 1/4 cup of batter at a time, dropping blueberries onto pancakes as they cook. Serve with a pat of butter and your favorite syrup. How do you like your pancakes? Let us know! We’re always looking for new recipes to try! ← First Birthday in LA! Let us know what you think! And if you make any modifications!